News revolving around Suffolk or other related activities, not necessarily to do with computers. WE’RE EXPANDING! 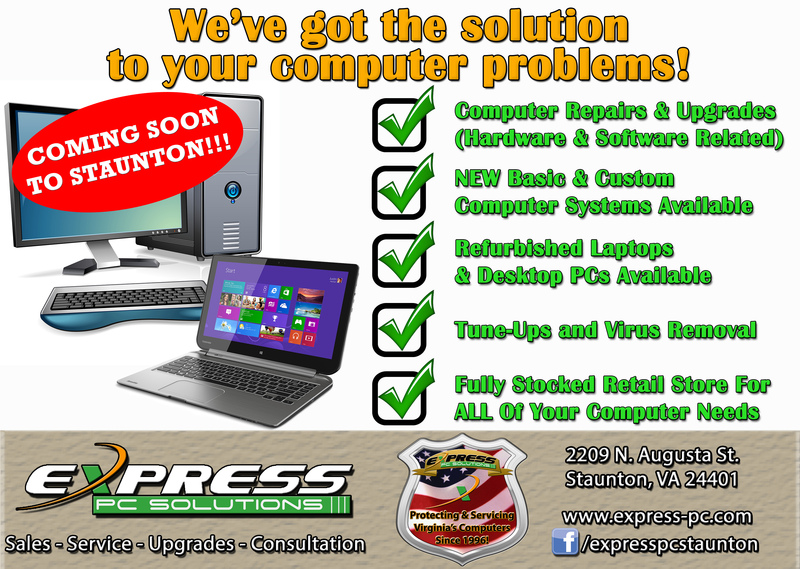 NEW STORE IN STAUNTON COMING SOON!!! That’s right! In August we’ll be opening our third store! We’re expanding across the state – the new store will be in Staunton, VA! Stay tuned for more details!! !